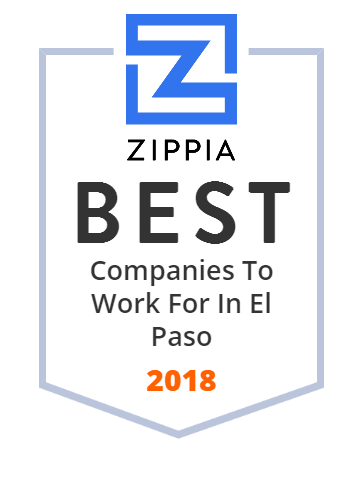 We hand-curated a list of the best companies to work for headquartered in and around El Paso, TX using data on salaries, company financial health, and employee diversity. Western Refining, Inc., is a Texas-based Fortune 200 and Global 2000 crude oil refiner and marketer operating primarily in the Southwestern, North-Central and Mid-Atlantic regions of the United States. Western Refining (WNR) has been publicly traded on the New York Stock Exchange since January 2006 and is the fourth largest publicly traded independent refiner and marketer in the nation. Western Refining has been acquired by Tesoro another independent petroleum Refining and marketing corporation. Helen of Troy Limited is a publicly-traded designer, developer and worldwide marketer of consumer brand-name housewares, health and home, and beauty products under owned and licensed brands. It is also the parent corporation of OXO International Ltd., Kaz, Inc., Steel Technologies, LLC, and Idelle Labs, Ltd, among others . The Company is headquartered in Hamilton, Bermuda, and its U.S. operations are headquartered in El Paso, Texas. The Company is named after the historical or mythic figure Helen of Troy. El Paso High School is the oldest operating high school in El Paso, Texas and is part of the El Paso Independent School District. El Paso Community College is a community college district headquartered in El Paso, Texas, United States. The University of Texas at El Paso (UTEP) is a public research university in El Paso, Texas, United States. The school was founded in 1914 as the State School of Mines and Metallurgy, and a practice mineshaft survives on the mountainous desert campus. Following a reorganization of the University of Texas in 1920, the school was renamed the College of Mines and Metallurgy of the University of Texas. It became Texas Western College of the University of Texas in 1949, and The University of Texas at El Paso in 1967. UTEP is part of the University of Texas System. Our mission at EP Fitness is to serve our community by providing clean, convenient facilities; friendly, helpful customer service; in a fun and safe environment. Launched February 2012 El Paso Children's Hospital is the largest expansion of pediatric medical services in West Texas with approximately 225,000 square feet. El Paso Electric is Texas based public utility company, engaging in the generation, transmission, and distribution of electricity in west Texas and southern New Mexico. Hunt is an industry-leading real estate company dedicated to building value through development, investment and management. Las Cruces and West Texas drivers know that the best deals on new and used vehicles can be found at Rudolph Chevrolet in El Paso! We offer the best in parts, service and financing. Visit us today! Bay Valley Foods is a leading provider of shelf stable foods, food service goods and private label products.